A group portrait of an extended family, with two men four women and children, all dressed in European clothes. In the background can be seen Buxton's Willys jeep. Morton, Chris. 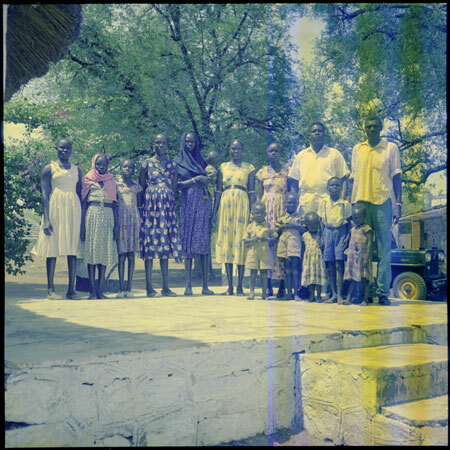 "Mandari family group" Southern Sudan Project (in development). 03 Jan. 2006. Pitt Rivers Museum. <http://southernsudan.prm.ox.ac.uk/details/1998.97.218.1/>.